Dutch Pro Hydro/Coco A + B Bloom Nutrient is available in 1 litre, 5 litres, 10 litres and 20 litres. 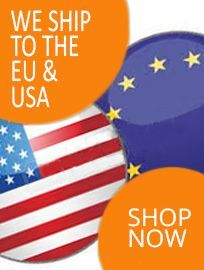 *THIS IS THE HARD WATER VERSION, IF YOU REQUIRE THE SOFT WATER VERSION PLEASE CONTACT US. Dosage: 250-350ml per 100 litre. 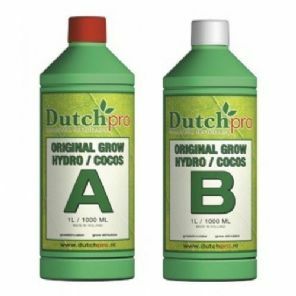 Original Bloom Hydro/Coco dependant on the desired EC level. Never mix components in pure form with each other – instead add component A, water and then component B in equal parts (always rinse measuring cup well). 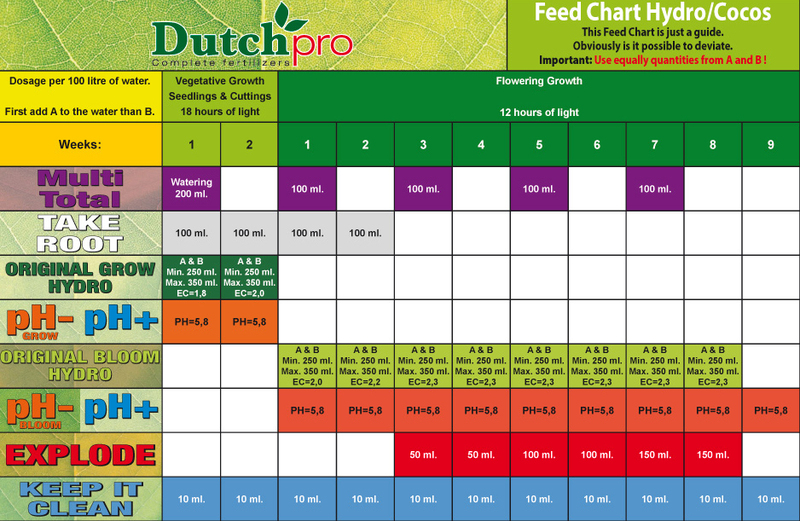 Adjust pH level if necessary with pH- Bloom from Dutch Pro.